Rusty Sabin was born to white parents but brought up by the Cheyenne Indians, who named the redheaded boy Red Hawk. His ability to heal the sick and to make strange magic is widely honored throughout the tribe. But in his twenties, Red Hawk sets out to take his place among white people. When Rusty and his stallion White Horse are nearly at the frontier post of Fort Marston, the river boat he’s riding is grounded, and a man called Bill Tenney comes to his rescue. Rusty doesn’t know much about the white man’s ways—especially a white man like Bill Tenney, a thief and a fugitive. Tenney is only interested in one thing—Rusty’s white stallion, considered sacred among the Cheyennes. Meanwhile Major Marston is determined to come between Rusty and his sweetheart, Maisry, and the Cheyennes do all they can to compel Rusty to return to his tribe. 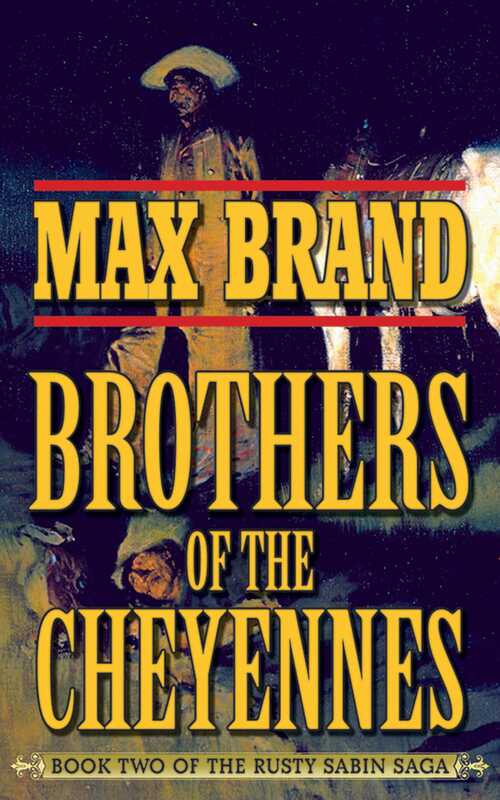 First serialized in 1934, Brothers of the Cheyennes—the second installment of the Rusty Sabin trilogy—cemented Max Brand’s reputation as one of the most exciting and talented writers working in the Western genre. To this day, Rusty Sabin remains an indelible American character, caught between two worlds and simply trying to do the right thing.